Few things are as painful as watching your favorite player get benched with an injury -- except, of course, for the pain, you experience when you're one taken out of the game. Sports injuries are agonizing and debilitating for casual sports enthusiasts and seasoned professionals alike. Fortunately, you don't have to keep missing on your favorite activities, thanks to the all-natural sports injury care available at Lubbock Advanced Physical Medicine in Lubbock, TX. 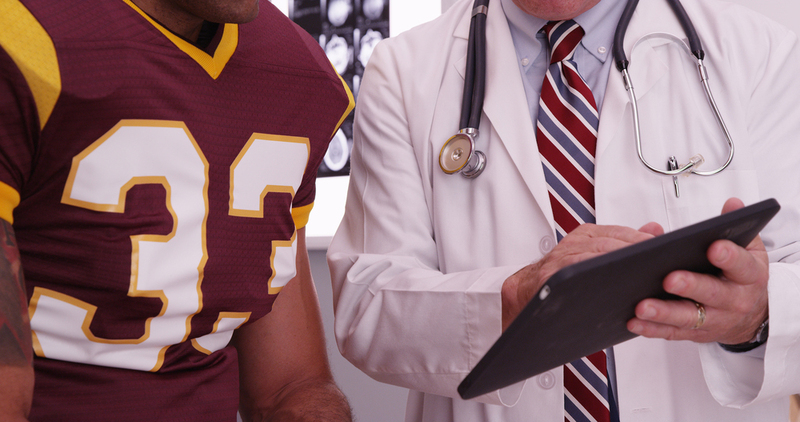 Some sports injuries are so sudden and violent that there's little doubt about their cause. A brutal fall, tackle, or another impact can affect your spinal or extremity joint alignment, causing not only joint damage and soft tissue pain but also pinched nerve symptoms such as tingling, numbness, and loss of muscle strength. On the other end of the scale are those chronic sports injuries that grow slowly through repeated damage to tendons or muscles, resulting in nagging pain and inflammation. An existing alignment problem can make a sports injury worse, or make you more prone to sports injuries in the first place. Our chiropractor at Lubbock Advanced Physical Medicine, Dr. Kothmann, can treat a great many kinds of sports injuries. We consider your symptoms, medical history, and chosen sport as we run X-rays and other diagnostic procedures to get a precise understanding of your individual sports injury. This gives us our "game plan" for creating a personalized sports injury and rehabilitation plan for you. Graston Technique - This instrument-based technique releases internal scar tissue that inhibits motion. Active Release Technique - ART uses a specific set of movements to manipulate tissues, easing pain and increasing mobility. Strengthening and stretching exercises - Our customized exercise plans can target your weak points to rehabilitate injured muscles, lengthen muscles and ligaments to reduce injury risks, and strengthen the muscles that support your core. Kinesio Taping - The advanced materials and taping methods used in Kinesio Taping can help manage pain, reduce swelling, and reinforce critical muscle groups. Ready to Make Your Comeback? Call Our Lubbock Advanced Physical Medicine in Lubbock, TX! Don't let yourself be taken out of your favorite game by injuries. Begin your comeback today by calling our Lubbock clinic at (806) 791-3399!